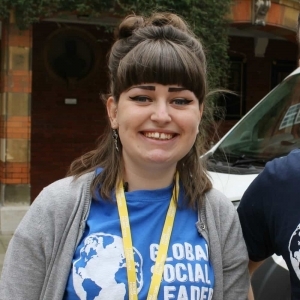 Global Social Leaders are creating a generation of alumni, participants who have attended a World Summit programme and who apply to return as an alumni to develop their leadership skills with further responsibility and knowledge of leadership theory and social action skills. I am currently studying Psychology, Economics and French at the University of St Andrews. I play Netball and I am joining Enactus this year (not quite decided on the project). In my free time I like seeing my friends and going out for coffee or meals, and I really like reading so I will try to read three books by Christmas this year. At the moment my plan for after Uni is to go either into Occupational Psychology, Personal Development/Coaching or Management Consulting. Every year I have been back, GSL has impacted me massively. In the first year, this impact was especially on my personal development and I really started thinking about who I really am and finding out what I want to do, for example at university, but deciding on my own terms and not on the terms that others make in their expectations. Following GSL, I started a food waste project at my school and although things didn’t go quite as planned, we managed to reduce food waste over the year. After this year, my 3rd year, I am now super motivated to start fundraisers and join social actions projects and just really going for the things I think about doing, so I’m very excited about what’s to come! Since I participated, I have done my International Baccalaureate and I am now going into my second year at University. I still keep in touch regularly with participants from all three years and I have visited Esztella this summer, with whom I am also planning an India trip so I can see other participants from over the years and we will definitely come one day once we manage to find a time we can both do. We are also planning a reunion for all UK alumni in London at some point before Christmas, which is very exciting! I wanted to return to GSL because I love the environment and the vibe. I find it so incredible how much everybody develops and what we can all achieve if we have the freedom and the right surroundings to fully be ourselves. Moreover, I wanted to help the participants to reach their full potential and get everything they can out of GSL, and everyone always inspires me so much. I am amazed by the coaches, so coming back, I was very interested in the coaching side of GSL which was just awesome to see. I’m from the Lab School in Chicago, Illinois, USA with one year left of high school. After high school, I plan to attend university here in America. I love writing poetry, playing piano, and tennis. I’ve recently become interested in mental illnesses, so I want to become a doctor to understand human brains better and study the behavior of those with mental illnesses. GSL gave me the confidence I needed to be forward and direct with what I wanted for myself, with my parents, teachers, and peers. It made me less nervous to speak up when I had something to say and more carefree with disregarding what people might think of me and my opinions. GSL stressed how important integrity is: I did what I thought was right despite the skepticism of others. This confidence has helped me so much with growing into myself; I feel like I know really who I am now and know what I believe in. 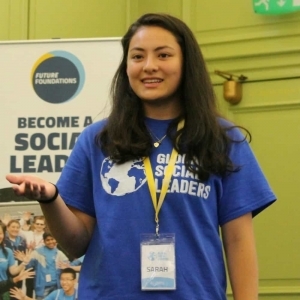 Confidence led me to do things I wouldn’t have ordinarily done in the days before GSL: this year I started a Chinese Club in my school, became more forward and less shy in talking to teachers and other adults, and even signed up to do a service trip in China. I also met inspirational young individuals from all over the world at GSL. I now can say I have friends in the UK, Canada, Bosnia, India, Italy, etc. Everyone’s love and passion inspired more love and passion in everyone else-we walked away with lifelong friends and memories to treasure forever. I am always still talking to my friends from GSL, even more than a year after the program. And even though the closest we can get is a Skype call, I still consider them some of my closest friends. When I went to London after GSL 2016, I saw one of my closest GSL 2015 friends. Although we hadn’t seen each other in person in over a year, we fell right back into where we’d left off. I came back as an Alumni because I wanted to witness and help more participants change the way I had changed in two short weeks. After what GSL did for me, I wanted to go back as an Alumni to help out and create the same community that I had been so welcomed into. I also wanted to meet even more inspirational teens from around the world-there is so much to learn about the world and so many interesting cultures, especially through other kids my own age. Another reason I wanted to come back to GSL was so that I could apply what I learned as a participant and actively engage in being a leader, a role model for the participants. I wanted to share my story of who I became after GSL to motivate others to open up and change as well. I will always be so grateful for everything GSL has done for me and am so lucky to have spent 4 weeks of my life with Future Foundations. 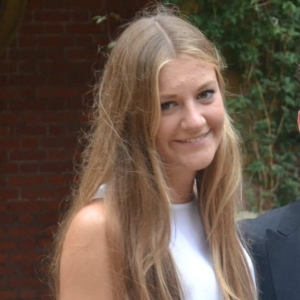 I am currently studying philosophy, English literature, sociology and politics at sixth form. My interests include; rock music, books and travelling. My plans after Sixth Form are to stay in the UK and study philosophy at university. GSL has helped to hugely boost my confidence which has been useful when interacting with new people; whether it be at a job interview or a party, i’ll now talk to anybody. GSL has helped me to have the confidence to grasp every opportunity that comes my way, as well as inspiring me to travel the world and embrace different cultures. Since I attended GSL as a participant I have completed my AS exams, learnt to drive, returned to GSL as an alumni and have kept in contact with all other participants. I regularly meet with my friend Helen who I met at GSL in 2015. I wanted to return to GSL as an Alumni mainly to be part of the incredible experience the new participants would have and to help guide them through the two weeks. I had met so many fabulous people when I attended GSL as a participant and wanted to meet many more. I also think there is always going to be room for self improvement, so I wanted to return to GSL to further develop myself as a person as well as learning new leadership skills.